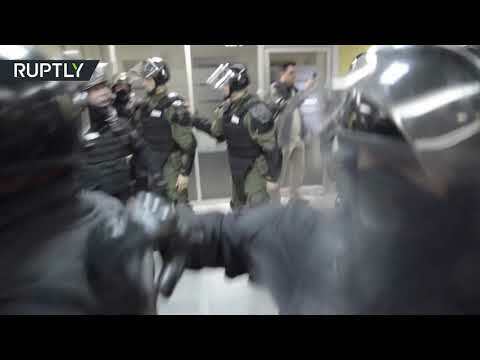 Anti-govt protesters storm broadcaster HQ in Serbia, clash with cops | We Seek the Truth! Scuffles broke out between opposition and riot police after protesters forced their way into the offices of a public broadcaster in Belgrade, demanding they be put on the air. Police resorted to force to evict the crowd.